Over the next 15 years, a rough calculation suggests that at least $2.5 trillion will be spent on development assistance. Where this spending goes will largely be dictated by 169 development targets that the United Nations has endorsed for the next decade and a half. Next week, government ministers will return to New York to discuss the implementation of the Sustainable Development Agenda, amid growing recognition of the headache of trying to pursue so many different well-meaning ambitions at once. This situation was inevitable. The Sustainable Development Agenda was the result of a painfully inclusive and economically uninformed process, in which government representatives and regional blocs, NGOs, agencies, and advocacy groups tussled over which development goals should be given the UN stamp of approval. We need to get real. Promising full employment in 15 years is naïve at best — and could even be detrimental. 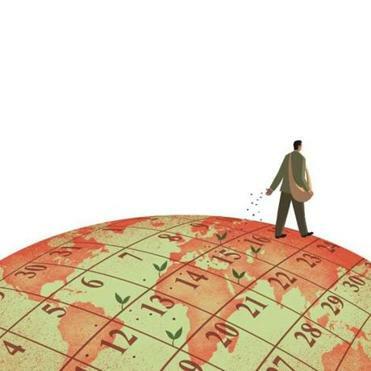 Simple economics suggests that nations need some unemployment to allow workers to change jobs. This development target could even be used by interest groups to support policies that safeguard jobs for a comfortable minority while pushing others into unemployment. The larger problem with the development targets is that there is a complete absence of prioritization. The agenda gives the same weight to the eradication of preventable infant deaths as it does to the promotion of “sustainable tourism” ventures. It may seem harmless to include a development target highlighting the need for “green and public spaces, in particular for women and children, older persons, and persons with disabilities.” But at a time when 1.2 billion people live in abject poverty, 2.5 billion lack access to water and sanitation, and almost a billion people go to bed hungry each night, we need to ask if tree-filled public parks for the disabled are the most urgent development priority. 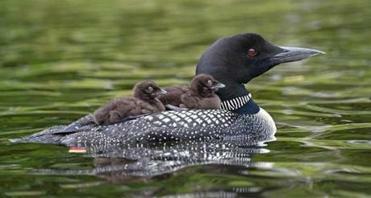 Researchers say malaria killed a common loon last summer at a refuge in New Hampshire and Maine. The UN has never published a comprehensive study of its targets’ value-for-money. They are certainly not all equal. Some targets generate much higher environmental, social, and economic benefits than others. Economic analyses prepared by 82 top economists and 44 sector experts — specialists from stakeholder organizations — for the Copenhagen Consensus Center show that some of the targets are barely worthwhile, producing little more than $1 in social benefits per dollar spent. This research uses benefit-cost analysis, which is a way of comparing the amount of “good” that society gets from one investment instead of another, and expresses environmental, social, and economic benefits in a single figure. An eminent panel that included several Nobel laureate economists studied this research and found that, among the analyzed targets, 19 would produce the greatest returns. Concentrating on these, the UN could achieve $20 to $40 in social benefits per dollar spent. In contrast, allocating funds evenly across all 169 targets reduces the benefits to less than $10. In other words, being smart about spending — focusing first on the development targets where we can achieve the most — could do the same as doubling or quadrupling the aid budget. At a global level, prioritizing the most impactful targets would mean providing access to contraception to every woman, working much harder to prevent childhood malnutrition, and promoting free trade to reduce poverty. Such interventions cut across the political spectrum, but deserve backing by all. An international development agenda based around them would have the biggest impact for every dollar. At a national or subnational level, priorities can be subtly different: While the broad agenda will be the same, what should be prioritized in rural Colombia may not be the same as for Andhra Pradesh, India. This year the Copenhagen Consensus Center zeroed in on the development choices for Bangladesh, a country that aims to achieve middle-income status and build upon its recent impressive gains against poverty. In more than 1,100 pages of new research, economists explored 76 different policies. Analysis of this research by a panel of Bangladeshi economists and development experts and Nobel laureate Finn Kydland reveals that some top priorities are the same as those needed globally. One is the eradication of tuberculosis. This is a ‘‘hidden’’ disease. More than two billion people on the planet carry the bacterium that causes it, and about 1.5 million people each year die from TB. Treatment is inexpensive and, in most cases, highly effective. Globally and in Bangladesh, tuberculosis deserves a much higher place on the development agenda. Another is the prevention of childhood malnutrition. A good diet boosts a child’s development, leading to life-long benefits. Well-nourished children stay in school longer, learn more, and end up being much more productive members of society. Nutrition solutions are relatively cheap and very effective, and require more support. In other ways, the prescription for Bangladesh differs from the global development agenda. Government procurement systems in the country are notoriously outdated. An online system would be a phenomenally good way of fighting corruption. As government ministers meet in New York next week to talk about the difficulties of implementation, monitoring, and evaluation of the 169 targets, it is unlikely they will acknowledge that it was their own process that got them into this situation. But they would do well to remember that in times when budgets are under threat, taxpayers demand that every last penny achieves the most possible. A sharper focus could generate tens of trillions of dollars extra worth of social, environmental, and economic benefits for the entire globe.